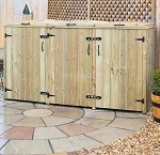 This single wheelie bin store has been specifically designed for storage of those unsightly yet essential wheelie bins. 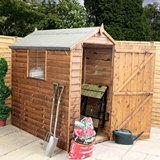 The cover is ideal for use in any outdoor space, made from tanalised wood this really is a strong durable product. 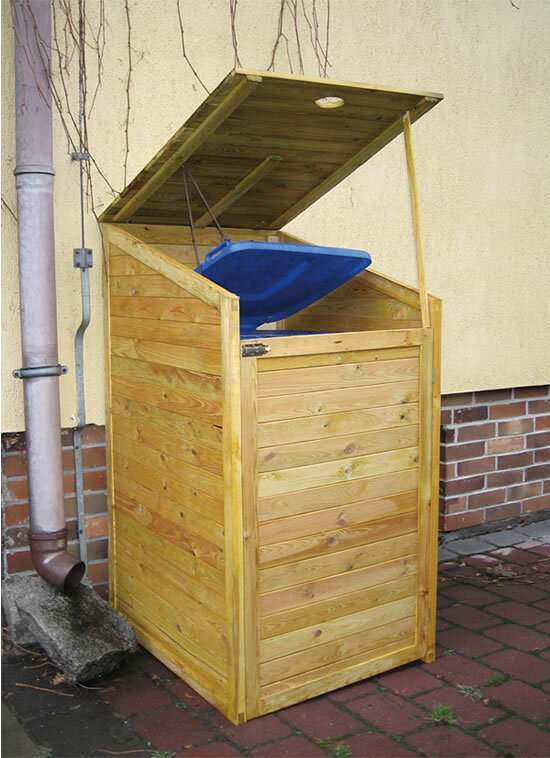 To aid ease of use the cover has a hinged lid which, when lifted automatically opens the wheelie bin lid. 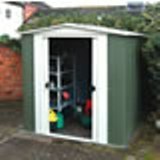 The store is also fitted with a hinged front door allowing the wheelie bin to be easily removed from the store. 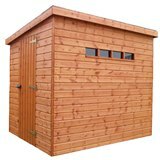 The store has a lockable front ideal for protection from animals. Manufactured using FSC certified timber, indicating that the wood used is sourced from responsibly managed forests. This product is a self assembly product and includes all of the required fixings.